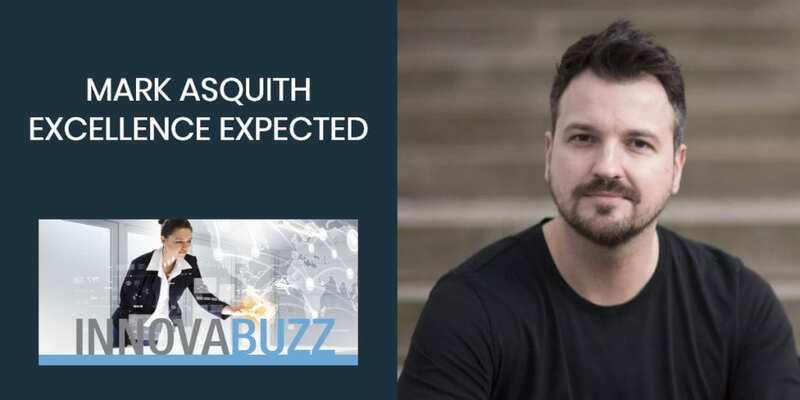 In this episode, I’m really excited to welcome to the InnovaBuzz Podcast, Mark Asquith of Excellence Expected, where he provides entrepreneurs with actionable advice to grow their business. Mark is also host of the Straight Talking Guide series, the 7 Minute Mentor podcast, a speaker, co-founder of Podcast Websites, and a frequent contributor to the Podcast Success Academy. Colin Gray on episode 131 introduced us to Mark. Do it for yourself (ie, for your own reasons) if you are thinking about podcasting. A lot of people do these things and it will turn into a job because they have done it for the wrong reasons. If you do a podcast because you think there is an opportunity to make some money in a niche that you really don’t care about, that is not going to last long because you are not going to be passionate about it. Live video is really powerful because there is no risk in that for people. You get real time interaction. You have people that are tuned in and really engaged in what you are telling them and want to get involved. When it comes to giving value, you have to always be consistent in what you are putting out. You have to go deep and tell people specifics. That is how you add value. People buy from people. You have to be seen to be a person. Those who tell stories rule the world! Stories are really valuable. The way that you can start to integrate that in your business is to look at why you started doing what you are doing. We all have a reason for doing it and that is the story that you start with. There is a big difference between telling a story and being a well-rounded storyteller. It is not just about telling your story. It is about being mindful that people are going to be more engaged if they can buy into something, if they can believe it and can relate to it, if it is going to evoke some connection or emotion, they are going to get it. The type of outcome that you want to achieve with your content will dictate how you put that story together. If you are not creating content every week, you are not rotating your shop window, people are just going to pass you by and keep walking until they see something in someone else’s window. It is better to get something really good out often than it is to get something perfect out infrequently. Here are Mark’s answers to the questions of our Innovation round. Listen to the interview to get the full scoop. #1 thing to be more innovative – Trust your own gut. Understand that you know your industry probably better than you think. Think of the bigger picture. The key to innovation is trusting your own knowledge in your industry and believing that if you have a problem or if you wish something existed, there will be other people who wish the same thing. Best thing for new ideas – Have time off and not do anything. Just let your brain percolate around and see things in a different light. Be around different people who will make you think differently. Read books that are not related to work. When your brain is ready, it will start to give you ideas. Favourite tool for innovation – Systems and processes. Process St.
Keep project / client on track – Be a bit brutal with what you include. You can’t include everything. Things are going to slip because ideas never stop. The more you add, the more it is at risk of slipping. Differentiate – Lean on the entertainment factor. Be yourself but learn how to use that in an entertainment kind of guise. You’ve got to stand out and the only way to stand out is to attract people who like you. Share things about you that you think are valuable, because they probably are. Innovation and productivity is a funny one because you need different trails for those 2 things. When it comes to productivity, you need to have the discipline and focus to understand what is vital. Learn to make decisions quickly and just move through things. When it comes to innovation, decide how you want to innovate. But either way, you just have to trust your gut and create things that matter to people in your industry. Be confident that you know you industry well enough. Start creating consistent content that will allow you to get feedback. Do something that puts you in front of people in the industry. Listen to the feedback you get and act on the feedback. Join Mark Asquith’s Free Coaching session every Friday. You can reach out and thank Mark through his website, Facebook and on Twitter. Mark suggested I interview his Co-Founder at Podcast Websites, Kieran McKeefy. So Kieran, keep an eye on your inbox, for an invitation from us to the InnovaBuzz podcast, courtesy of Mark Asquith. He is a big fan of DC comics. His first podcast was “Two Shots to the Head” was all about DC comics. He’s been a podcaster for 4 years and has recorded 700 episodes, as well as created 4 podcasting products. 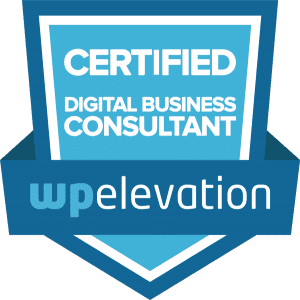 He is an IDM qualified digital marketer.